If you are looking for an oil change service and inspection of your vehicle in the Lighthouse Point area, then your search stops here. Our certified and well-trained team is committed to offering you the oil changes services that will help you drive swiftly and efficiently on the road. We provide a full range of service whatever the company or model, and we ensure service and inspection following the manufacturer’s instructions. Our services include a change of engine oil and filter as well as carrying out a safety check on your vehicle making your traveling safe and sound on the road. 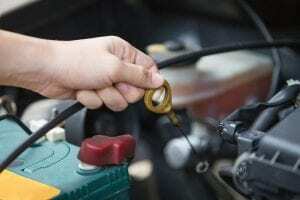 Unfortunately, most of the people ignore or forget to change the oil and other parts of the vehicle on time unless it drips on to your driveway and harm the engine. This is a severe mistake which proves to be a costly one down the road. Changing the oil on time is one of the preventive maintenance measures that increases the performance and extends the life of the engine. Optimal performance of the vehicle can be achieved by regular oil changes because it keeps the engine clean and helps it run smoothly, reduce engine wear and increases the longevity of your car. Good quality oil can reduce friction which leads to increase mileage and also enhances the engine performance.